By Dale Johnson Posted: July 3, 2018 4:00 p.m.
Kenechukwu Obi, who is getting set for his final year of business studies at the University of Regina this fall, is majoring in marketing – and his passion is writing novels. “Creative writing is my thing. Nothing compares to the joy I feel deep inside, when inspiration comes to me, feeds me imagination, and writing one word after another,” Obi says. His mystery novel, End it by the Gun, is about an aspiring writer from rural Nebraska who becomes obsessed with having big Hollywood studios make movies based on his fiction stories. Although his writing takes a heavy toll on his marriage, he does not give up. 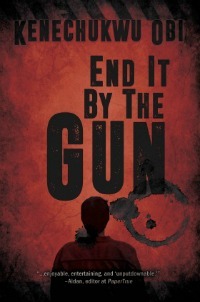 “I started writing End it by the Gun in 2010 and it took me one year to complete the first draft. I put it aside and kept writing in other genres and developing my next novel ideas. I picked it up again in 2017 and made some changes before sending it off to an editor in California who offered helpful suggestions I took seriously as worked on it further,” he recalls. 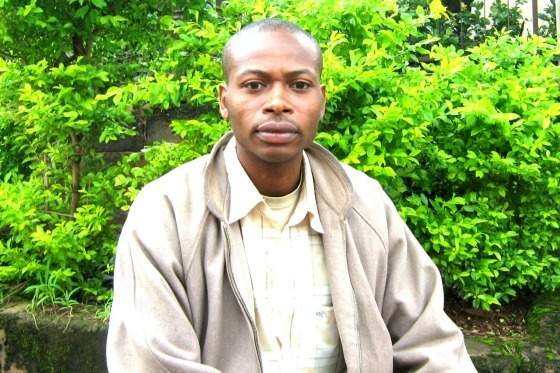 Obi then submitted his manuscript to publishers in Canada, the United States, Europe, and Australia. An independent publisher in Texas, Black Rose Writing, agreed to publish his book. End it by the Gun is being officially released on July 5, 2018. It will be distributed online by Ingram, and in paperback and Kindle formats at Amazon.ca and Chapters Indigo across Canada. Obi already has the manuscript for another novel ready for publication, and has almost completed the draft of another novel. 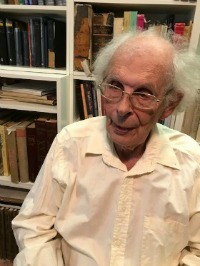 Dr. Josef Schubert was a professor of Psychology at the University of Regina, and one of the founders of the Department of Religious Studies. Schubert has written dozens of articles – and now he has written his first book. One might assume that a book as old as the Bible would not stir up debate around the age of the texts within it. However, Dr. Schubert's book tackles the subject that seems to have divided many a biblical scholar: was the book of Deuteronomy authored in the seventh century or earlier? Dating Deuteronomy – The Wellhausen Fallacy challenges established biblical scholarship derived from classic theory put forward by German biblical scholar Julius Wellhausen in 1878. “The book is for anyone interested in biblical studies,” Schubert says. Born in Berlin, Schubert went to Israel (then Palestine) in 1940, and attended an agricultural school. He later studied at the Hebrew University in Jerusalem, earning a BA in Bible Studies and Jewish History. He later studied Clinical Psychology, earning an MA from New York University and a PhD at the University of Liverpool in England. He moved to Regina in 1968. “When I was teaching Psychology, I found to my dismay that the majority of students had no knowledge of the Bible. I argued for the establishment of a Department of Religious Studies, and taught a class on Judaism until my retirement in 1988,” he says. Dating Deuteronomy, available on Amazon and Kindle and through Wipf and Stock Publishers, will be officially released on July 20.